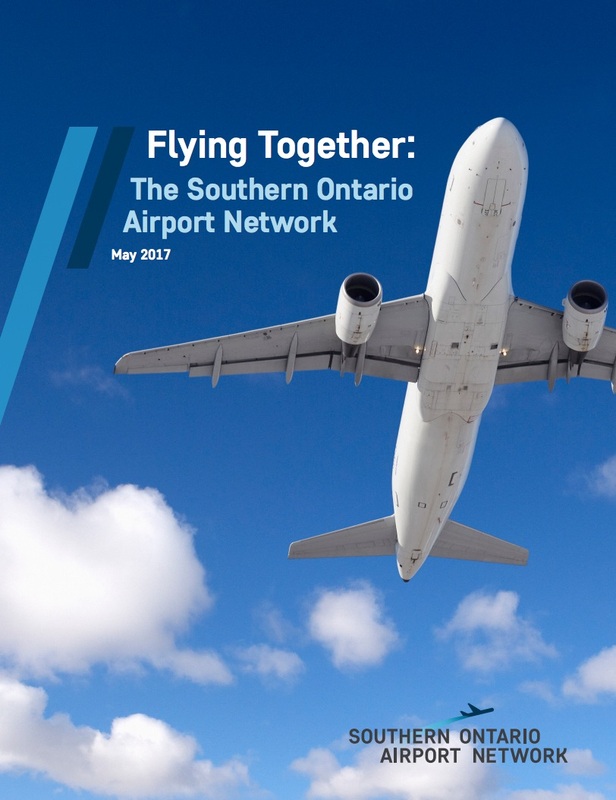 Each member of the Southern Ontario Airport Network believes it is essential to prepare for growth and keep the region connected. The region has been experiencing major growth, which is forecasted to continue over the next three decades but is well-positioned with several airports here to serve growing air travel demand. By working together, our region’s airports will be better placed to support local economic development, and in doing so increase the competitiveness of the region, the province and the country. John C. Munro Hamilton International Airport is the largest express cargo airport in Canada and one of the fastest growing passenger airports in the country, hosting a variety of airlines which offer Canadians low-cost travel options. In the winter season, Hamilton International also offers flights to sun destinations. Kingston Airport serves the businesses, institutions and residents of South Eastern Ontario. With a catchment population of nearly 200,000, the airport provides our communities with scheduled air services, aircraft maintenance, business aviation support services and flight training. We have embarked on a significant expansion program to provide the right facilities in support of our market demands. The Lake Simcoe Regional Airport is one of the newest and best positioned regional airport facilities in Canada located only 55 minutes north of Toronto Pearson International Airport. Situated in Simcoe County – one of the fastest growing regions in Ontario – the Lake Simcoe Regional Airport serves a direct population base over 480,000 residents with a diverse and progressive business community. The airport offers users a convenient location with its direct highway access and close proximity to the Greater Toronto Region, as well as pristine Central Ontario Cottage Country. With its modern airport facilities and strategic location in Central Ontario ideal to access local and international markets, the Lake Simcoe Regional Airport has over 200 acres of commercial development lands, runway expansion capabilities and no urban encroachment. The Niagara District Airport is located in the heart of the world-famous Niagara Region, ideally positioned for both business and tourists. The airport has a 5,000-foot runway, 24-hour customs clearance, NAV CANADA on site, Allied Aviation as the FBO with Avgas and Jet Fuel refueling available. On-site services including daily scheduled service to Toronto Island, executive and personal charter, helicopter and fixed wing sightseeing, expert AMO’s, and an active flight training school. London International Airport (LIA) is operated by The Greater London International Airport Authority. The not-for-profit Airport Authority has full operational and financial control of the Airport under the federal government's National Airports Policy. The LIA is a 24 hour a day operation with a modern terminal building, long runways, and capacity for growth. Operating as the “easy and comfortable” airport, LIA services over half a million passengers annually with scheduled service from Air Canada, WestJet and WestJet Encore. Sunwing, Air Transat and Celebrity Cruises also provide seasonal flights to southern destinations in Florida and the Caribbean. The airport is home to Diamond Aircraft, a thriving educational sector with programs and facilities for both Western University and Fanshawe College, and close to 50 additional aviation businesses. LIA is a significant contributor to the economy of Southern Ontario employing over 1,000 individuals and generating an economic impact to the area in excess of $357 million. The Oshawa Executive Airport is quickly becoming one of the most exciting airports in Southern Ontario. As an executive level regional airport Oshawa can accommodate a variety of aircraft ranging from small recreational aircraft to 20 passenger business jets and 70 passenger turbo-prop commuter aircraft. Our modern terminal and up to date runways and taxiways support over 20 aviation businesses and 250 aircraft based at the airport. Corporate travel and just in time freight continue to play an important role in the growth of the Region. Add to this aircraft charter, flight training and a broad selection of other aviation services and the only question that remains is: how can we help your business grow? Oshawa Executive Airport, Supporting Business and Building Community, One Flight at a Time! Strategically located between Toronto, Montreal and Ottawa, the Peterborough Airport Business Park brings together aircraft refurbishment centres, maintenance, repair and overhaul (MRO) facilities, aviation educational institutions, general aviation and many auxiliary aviation companies. Peterborough offers the best of a regional airport with the benefits of a smaller community, a runway that supports Airbus 320 and 737-900 series aircraft, a highly skilled workforce, competitive business costs, unrestricted airspace and an unbeatable lifestyle. The Region of Waterloo International Airport is located 45 minutes west of Toronto along Highway 401. Our community is young, prosperous and growing. With 600,000 residents Waterloo Region is the tenth largest population in Canada and the fourth largest in Ontario. Our economy is diverse and resilient. In 2018, our Real GDP was $26.4 billion and predicted to become the fifth fastest growing in Canada by 2023. We are leaders in innovation - with 70 per cent of the world’s GDP running on software created in Waterloo’s Research and Technology Park. With three highly-ranked post-secondary institutions and 73,000 students - our talent can give your company a winning edge. Classified as an Airport of Entry (AOE) – YKF is owned by the Regional Municipality of Waterloo. Toronto Pearson International Airport is Canada’s largest and busiest airport, the second busiest North American international airport, and the fifth most connected airport in the world. Managed by Greater Toronto Airports Authority, Toronto Pearson serves over 47 million passengers a year, provides a hub for 456,000 flights annually to more than 180 destinations and connects to 70 per cent of the world’s economy. Toronto Pearson International Airport is poised to become one of the world's next top tier international airports, providing air connectivity to as much as 80 per cent of the world's economies. Windsor International Airport is only minutes from downtown Windsor and 15 kilometers from downtown Detroit. With a friendly atmosphere and convenient parking just steps from the airport terminal, YQG is quickly becoming a pleasant, convenient and low-cost alternative for American travellers, who have helped increase YQG’s passenger volumes 42 per cent between 2013 and 2016. The airport boasts a 9.000 ft. runway, a new cargo-hub and a 105,000 sq. ft. maintenance, repair and overall hangar operated by Premier Aviation and large enough to service a B777. Billy Bishop Airport is Canada's ninth-busiest airport and welcomed 2.7 million business and leisure travellers in 2016. The airport is also Canada’s sixth-busiest airport with passenger service into the United States. Offering service to more than 20 cities in Canada and the U.S., with connection opportunities to more than 80 international destinations via our airlines’ networks, Billy Bishop Airport is an important international gateway and a key driver to Toronto’s economy, accounting for more than $2.1 billion in economic output each year and supporting 6,500 jobs, including 1,960 directly associated with the airport operations. The airport also serves as an important base for medevac air ambulance, a flight school and personal aviation which accounts for almost 50 per cent of its non-commercial movements.